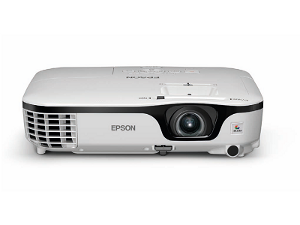 Make your business’ budget go further with the Epson EB-X12 – the high-quality XGA projector with a wide range of features and an affordable price tag. This projector is straightforward to set up and use, allowing you to focus on delivering fi rst-class business presentations. With high White and Colour Light output of 2,800 lumens, you can present even in a bright room. Enjoy sharp picture quality with a contrast ratio of 3 000:1. Aligning the picture is quick and easy with both automatic vertical keystone and manual horizontal keystone adjuster. The horizontal keystone slider is an innovative and intuitive new design feature from Epson, making it easy to adjust images to the correct shape when the projector is placed at an angle to the screen. This compact and stylish projector is very well-suited to installation thanks to a host of useful features. With Epson’s 3-in-1 USB Display feature, one cable is all you need for picture, sound and page up/down control - it’s the easiest way to display what’s on your PC or Mac. Alternatively, the PC-free function lets you present still photos directly from a USB stick without powering up your computer. this means that you have less to carry between meetings and can focus on your presentation.